On June 12, 2017, Microsoft finally announced the general availability of Power BI Premium. This new extension of the famous data visualization tool promises profitable changes to the Power Bi model for large businesses. 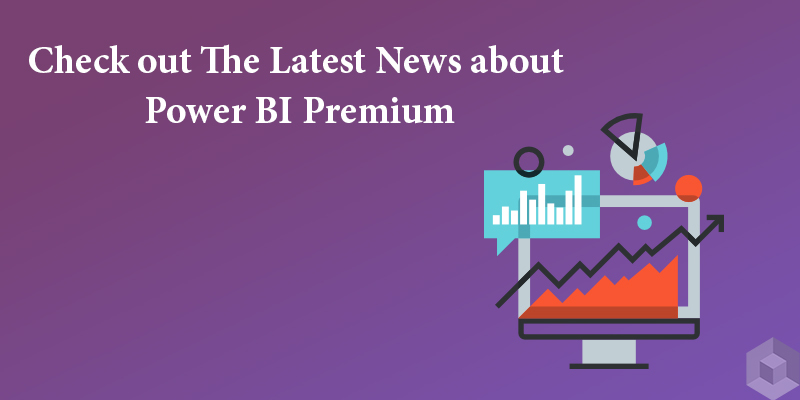 Solving sharing issues and enabling businesses to work with a larger data volume, the Premium tier of Power BI is the additional license big businesses are looking to acquire. Before introducing Premium’s new functionalities, pricing details, and overall benefits, let’s quickly recap Power BI’s pre-existing licenses.There are two licensing models: the Free and the Pro. Both versions permit users to model data and create reports. Power BI Free suits users who need personal reporting and allows them to share content on public sites only. The Pro license targets more specific users as it offers a larger data size limit, and it enables the sharing and publishing of on-premise reports to groups and organizations without restrictions. What are the benefits of moving to Power BI Premium? If you are working in a large-scale company, the cost for using Power BI within your expanding business can grow exponentially. Rather than providing a per-user license, Power BI Premium provides a user capacity for your organization. Although you still need a Pro license to share reports, all Power BI users will be able to consult the data stored on the Premium shared space without each needing a Pro license to do so. This new model adjusts for too low data size limits and saves large businesses money by limiting the number of Pro licenses requiring purchase. In short, instead of focusing the service on individual users, Power BI Premium targets organizations. Power BI Premium is an “additional” licensing plan to add to your existing plan. You will be paying for a capacity and for Pro licenses. Although the entry price may seem steep, the Premium solution can save large businesses an impressive amount of funds in the long-term. Purchasing data storage and a few Pro licenses will ultimately cost less than buying a Pro license for every employee because even employees who rarely consult data will need that license to do so. Is Power BI Premium worth the price? If you have 100 employees with 20 frequent Power BI users needing a Pro license, the Premium extension will not be a good option for your business since the starting price of the solution is $4,999. Purchasing Pro licenses for 20 employees or even 100 employees will still be more affordable than investing in the Power BI Premium plan. On the other hand, if your business includes over 4,000 employees with 600 Pro users using Power BI on a daily basis and 3,200 users only consuming final reports, the Premium option can significantly reduce your overall costs. Instead of buying Pro licenses for 4,000 employees at $9,99 each ($39,960 in total), it is in your organization’s best interest to purchase 600 Pro licenses for frequent users ($5,994) and Premium data storage for the remaining users ($14,985 total, including 3 P1 capacity), bringing the total amount to $20,976. In this case, you could save $18,984 by going with Power BI Premium. The decision to go Premium – or not – is largely dependent upon your company’s structure, size, and needs. You can find all the pricing details directly on the Power BI Premium Calculator. Then, are you ready to go Premium? Hopefully, this Power BI article gives you some useful information. More questions? Contact us!